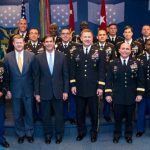 WASHINGTON (Army News Service, July 20, 2015) – The Army is consolidating Soldier education under “one roof” as part of the “Army University” concept, Sgt. Maj. of the Army Daniel A. Dailey said. The Army University, officially abbreviated “ArmyU” for short, is administered by the Combined Arms Center, or CAC, on Fort Leavenworth, Kansas. While not a “brick and mortar” university, ArmyU will maximize the educational experience, which Soldiers are already getting in the Army through the U.S. Army Training and Doctrine Command, or TRADOC. The plan for ArmyU is to organize the Army’s professional military education programs into a university system to increase academic rigor, create greater opportunities for accreditation, and enhance the quality of the force, according to CAC leaders. Included in ArmyU are all the Army “centers of excellence”: aviation, cyber, fires, intelligence, maneuver, maneuver support, mission command and sustainment. 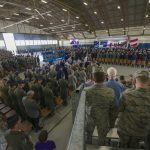 “We will work with them, and we are looking at how we can make the instructors better, and make the curriculum as relevant and as current as possible, plus meeting the need of the operating force,” said Col. Michael J. Harlan, with the CAC. Dailey said ArmyU will be nationally accredited, and will eventually provide a “universal transcript” to make it easier for civilian colleges and universities to understand the education and training Soldiers have received in the Army, and help them build a degree program. Harlan also described what he called a “degree engine,” which would be part of ArmyU. The degree engine would use the universal transcript and compare it to the requirement for getting a particular degree at a particular university, and could help Soldiers determine what other courses they would need to take to achieve that degree, and even possibly the cost of attaining that degree. “It’s a tool to help that Soldier understand how close they are to getting a degree they want from an institution they want,” Harlan said. 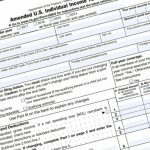 Another goal of ArmyU is to find ways for Soldiers to earn private-sector equivalent credentialing for the work they do in the Army, so they don’t need to be re-credentialed when they go look for private-sector work. Helping those Soldiers get credentialed in their skill set is important to both the Soldier and the Army because it proves “an individual is an expert in their particular area,” Harlan said. 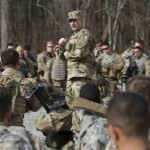 In a tri-signed letter by Army Secretary John M. McHugh, Army Chief of Staff Gen. Ray Odierno, and Dailey, Army leadership said the creation of ArmyU is the next “logical step” in the continued professionalization of the Army. 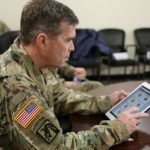 “Understanding the historical importance of this effort, we are committed to transforming one of the largest academic systems in the United States into a premier university system that harnesses the tremendous energy, experience, and intellectual capacity in our Army to produce the professionals that the nation will need for a complex and uncertain world tomorrow,” Army leaders said.